James H. Park, DMD is pleased to be able to offer beautiful smiles to his neighbors in Colmar and the surrounding communities. Dr. Park earned his dental degree from the Temple University School of Dentistry after earning his bachelor’s degree from Amherst College. Since then, he has taken numerous postgraduate education courses, specifically selecting courses focusing on oral surgery and root canal therapy. He also has recent training in direct composite veneers as well as the Powerprox Six Month Braces™ Technique, which allows him to help his patients achieve a straight, beautiful smile in a very short time. Dr. Park’s commitment to lifelong education means he is constantly evaluating emerging dental methods and technologies in order to provide his patients with the best results in the least invasive manner with a high emphasis on comfort. This commitment ensures the highest level of care, both today and tomorrow. 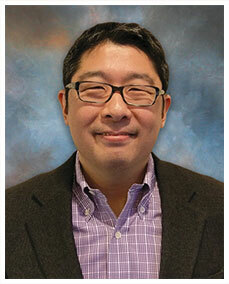 In his spare time, Dr. Park enjoys running, food, classical music, and science fiction/fantasy.